I still make my cakes by hand, with a bowl and a good heavy duty fork. I know, I'm a total luddite. But I actually like making cakes and cookies this way, there's something so first-hand about the process. Besides, as I told a friend the other day when he asked why I didn't have a stand mixer; I have to have something left to register for if I ever get married! Joking aside, I think that making cake by hand gives you a much better understanding of each step of the process: creaming together butter and sugar you can feel when the texture lightens under your finger tips, beating in the eggs one by one (important!) you can feel each one emulsify and thicken as it combines with the sugar. If you let a machine do all that, you'd have a much diminished understanding of the cake-making process. I've gotten into the habit of bringing cupcakes to work fairly often (every other Friday, to be precise) and each time I make them I'm reminded how much I enjoy the process, and also how good homemade cake is. There's nothing special about this cake recipe, in fact, it's your completely classic 1234 cake. I'm not one for the fancy-cupcake trend that is taking over America, but one cannot make the same cake all the time, so I often take the basic recipe and spice it up with whatever suits my mood. In this case (courtesy a brainstorming session with a colleague over what flavor cupcakes to make this week, ahem, what do you mean "work-related" emails? 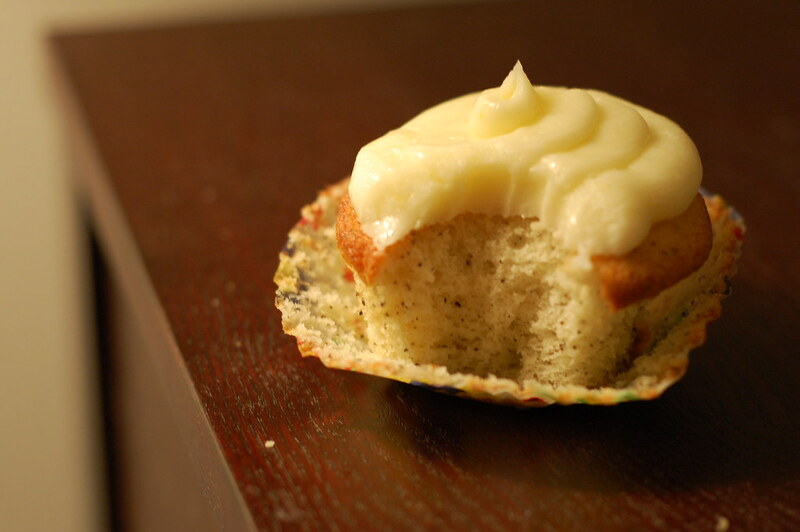 ), I made earl grey tea cupcakes with a lemon buttercream. I made a standard back-of-the-box American buttercream because people love the stuff, but to my taste it's a tad too sweet, even with the addition of plenty of lemon. Mind you, I still licked the frosting spatula, but I might play with a lemon-meringue or lemon-cream cheese frosting in the future. Whatever you choose, I like this so much I'd even make it as a layer cake. The hardest part is taking all those cupcakes on my 25 minute train ride to work. The solution: pack the cupcakes, unfrosted, in several flat plastic containers. Place the frosting in a piping bag or Ziplock bag and place in a plastic cup or other container. Transport to work, then snip the edge of the frosting bag and frost the cupcakes at your destination- super easy and little mess! I know you'll be tempted to make this using whatever variety of tea is sitting in your pantry. Please use earl grey, its floral citrus note is wonderful in these cakes. For extra oomph you can even add a tablespoon of earl grey tea leaves to the frosting. Makes 24 cupcakes, easily halved. 1. 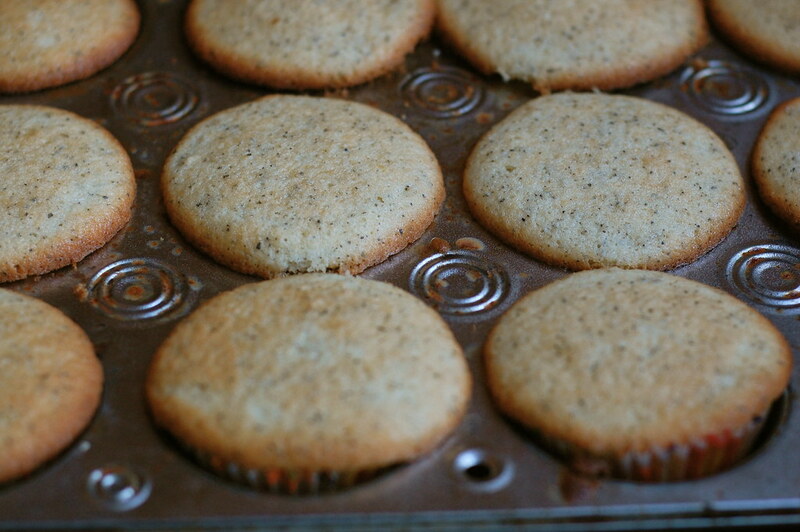 Preheat the oven to 350 F, fill 2 cupcake pans with paper liners or grease well. 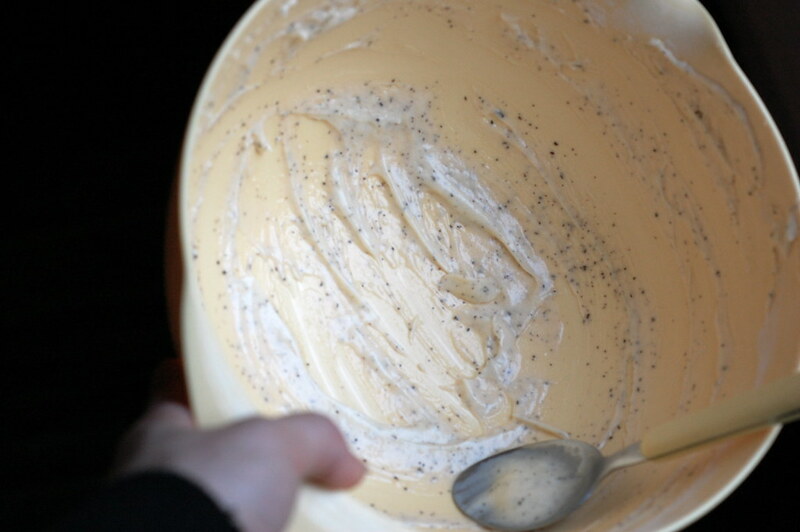 In a bowl (or with a stand mixer), beat the butter until creamy. Add the sugar and cream the butter with the sugar until it is light and fluffy. Add the eggs one at a time, beating each egg very well so that it is thoroughly combined before adding the next egg. 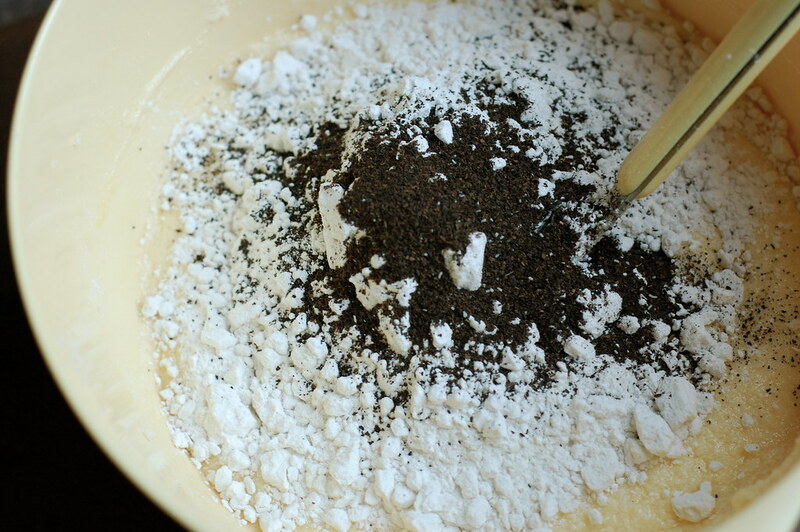 Beat in half of the flour along with the tea. Then add the milk and the remaining flour, stirring until just combined. 2. Fill the cupcake pans 2/3 full. Bake 20-25 minutes, rotating the pans halfway through to ensure even baking. Cool thoroughly before frosting. 1. Cream the butter until smooth, gradually beat in the powdered sugar until the mixture is very fluffy. Zest the lemon over the bowl into the frosting, add the lemon or limoncello, stir until smooth. Spread or pipe the frosting on cooled cupcakes. 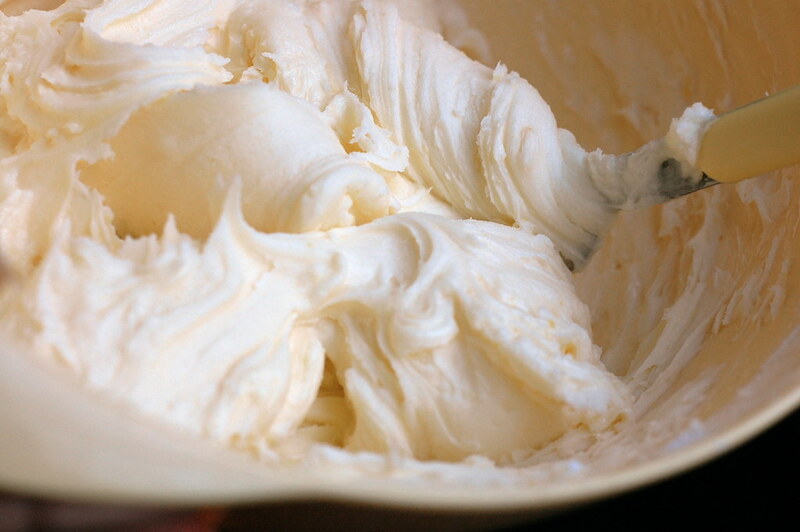 Please remember buttercream should be served at room temp. Oh, wow, this looks great. I think the best ice cream I've ever made was flavored with Earl Grey. And together with lemon? Wow, you have the best ideas! They look fabulous! A wonderful flavor combination! These look delicious--I think I'll make them for my mother, who is a tea fanatic. In your recipe, do you use the dry tea leaves? Or do you brew the tea first? I'm guessing you use the leaves, but I wonder if you could also soak a bag in the milk for a while for a little extra flavor? Or do the dried tea leaves add enough flavor as is? Thanks for the fabulous recipe. Those look great! I usually bring something baked into work too, but haven't done cupcakes yet only because I don't have a proper carrier and don't want them to get all smushed on the way there. Ooooh, those sound so good! by the way, do you have arabian roots? What a great flavor combo! Lovely cupcakes and site! Yummm this sounds delicious, it's the cupcake version of my favourite cocktail (the Earl Grey MarTEAni). mmm! these look and sound delicious! im off to visit my brother in LA in a week, and he loves earl grey and teas in general, so i'm sure he'll love these! will definitely be surprising him with these for breakfast! I have bookmarked this, they look and sound too delicious! Hi everyone, thank you for the lovely compliments! Juliet- I just use the dry tea leaves. I actually considered infusing them in the milk first, but in the end I didn't. I actually think it's better this way- if the tea leaves expand in the milk they'd be a bit too big or maybe even chewey. This way the tea leaves absorb some moisture from the cake batter and there's plenty of that earl grey aroma too. Hi, Mercedes. I loved these cupcakes. But I brewed the tea in milk and didn't use the tea leaves in the dough. It resulted in a very soft and delicious earl grey dough. Now, I must try with the non-brewed leaves. I also didn't use the frosting. Please, help me: do all cupcakes have frosting? Anyway, I had delicious little cakes here that disappeared in less than a day. Thanks for sharing such a wonderful recipe! I never would have thought of Earl Grey flavoured in a million years! Of course not it is all I can think of. I will have to try these out for sure. Wow this is a great recipe. Thanks for sharing! This is definitely going in my 'MAKE SOON' pile! I saw another comment about making it for Mother's Day...I'm stealing that idea (too)!!!! I dont have a kitchen mixer either, and frankly, I dont want one. I like kneading and mixing. Its nice to know Im not the only one. And these cupcakes look delicious, and so grown up! Hi. I'm a big fame of earl grey. I will definitely try to make this some time... sooner than later I hope. I've made tea caupcake with Chai tea by sweeping the tea leaves in heated milk. Thanks for the recipe, it's wonderful! I brought these to a party yesterday and they were a hit - a local chef who is the toast of the town was there and she declared them well above the designer cupcake bakery we have in town. I made sure she knew where the recipe came from! Thanks - and by the way, your blog is brilliant. I made these and they were awesome! These are my new favorite cupcake. I used Stash tea's Double Earl Grey tea--delicious! Thank you!!! Just tried this recipe last night!! So delicious and beautiful! My mom brought some for her co-workers who also enjoyed them. Thanks so much for this dessert! Interesting story as for me. It would be great to read a bit more concerning this matter. Thank you for sharing that information. essentially, you infuse the tea into the 1 cup of butter by melting the butter and then straining it from the tea. This keeps the little tea bits out of your cupcakes, but the flavor remains! I think it might be a little bit more appealing to my family at Easter dinner if they avoid the bits of tea. I'm so excited to try this recipe, lemon + earl grey = Excited Ashley! Do you sift your flour, or use cake flour? I'm so excited to try this recipe and about making by hand mixing. I couldn't agree more about machine mixing diminishing one's feeling of the process. I don't have a standing mixer. I feel unsure and disconnected from what's happening when I use the hand mixer. I'm no baker, so I'm always certain I've ruined things...and then somehow they turn out ok. I'm really excited about your fabulous Earl Grey cup cake idea. Just made these and they were lovely (and apparently idiot-proof, so hoorah!). I made vanilla buttercream with them though. Thanks loads for putting this up, in spite of my very rusty baking skills I was able to make cupcakes for my cupcake on Valentines day! I've just made these for the staff where I work as a midweek treat! they smell and look great. Not sure the icing is gonna make the cakes its delightful on its own! My favourite cupcakes at the moment are candy floss and popping candy they are yummy! Keep up with the amazing ideas you're awesome! Probably the best cupcakes I have ever tasted. I added an extra tablespoon of lemon juice because I love that tang. The cupcakes on their own are ridiculously delicious. I bet they will be snapped up quick. Thank you for the inspired recipe! Just made these for a baby shower tomorrow and I hope I can keep from eating them all before the party. Luckily my batch made 28 so I dont have to completely deprive myself. They are so good. Oh my goodness! 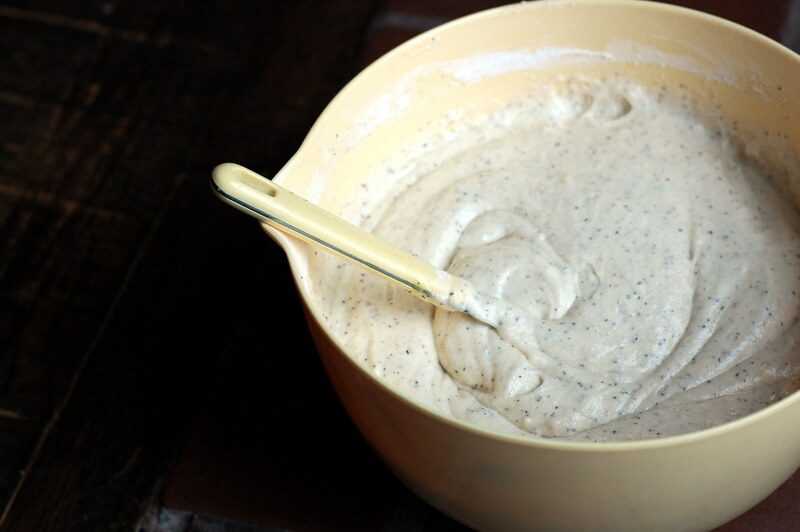 I just made these and I can easily say I am in love with the batter! the tea adds such a great flavor! I did add a little bit of vanilla to the frosting and it added oomph to the taste! love love love love it! Thank you for a great recipe, the cakes were light and delicious... I put tea bags into the milk, heated it and left it to infuse overnight, because I really like that earl grey flavour. I like the idea of having them as a breakfast treat! Hello, these sound lovely ! I want to bring them to a potluck picnic this week, but I have a question. Do I soak the tea bags in water or use the leaves only ? @daydream4ever -- you cut the tea bags open and use the tea leaves!